Sun squares Moon and trines Ketu, Mars sextiles Moon, Mercury conjoins Sun, Rahu conjoins Saturn/trines Jupiter & sextiles Sun and Mercury. 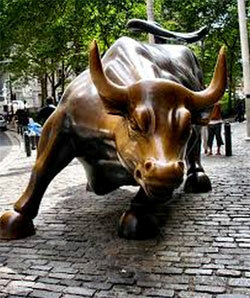 The market is likely to close in green after a tug of war between the bulls and the bears. Chemicals and electrical sectors will contribute in the upmove. For next few weeks, long term view for Crude oil & Gold looks bullish. Persons having Aries (Mesha) and Sagittarius (Dhanu) Moon sign/ Lagna will be financially affected today. They should refrain from money matters today.